Our staff is passionate about service and doing things right. We understand how important your vehicle is to you and the value placed on its being something you can depend on, in any conditions. Specializing in only two manufacturers enables us to have the best factory authorized tooling and factory training to keep your overall costs low, while keeping your vehicle safe to drive at all times. Everything we do revolves around you. We will keep your car running for many years trouble free, so you don’t have to buy another car. In addition, we make it a pleasurable experience to come in. We also care about your grandchildren and the environment. We recycle nearly everything and are very close to being a zero waste sustainable business. We have won numerous environmental awards and we even have free loaner bikes. If there’s anything else you wonder if we can do to serve Lincoln, Nebraska better in the area of auto repair and service, please give us a call. While hybrids do have an internal combustion engine, everything else in a hybrid is different from other cars. We understand your Prius and harmonize with your Highlander and Civic hybrid. We have been trained and equipped for hybrid service for over 10 years and have a lot of experience with hybrid operating systems and repairs. We respect the environment and we are passionate about environmental issues ourselves. When we service your hybrid, you are helping the environment just a little more, as we use practices that reduce shop waste and promote recycling. We have the factory technical tooling, training, service information, parts and even fluids to keep your hybrid giving you miles of worry free driving. When you put your hybrid in our hands, you can trust that it will receive the finest care there is. We invite you to call us to schedule an appointment. 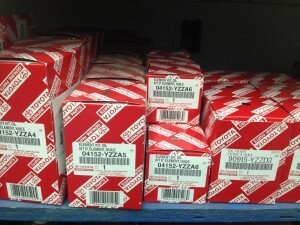 It means a fault has been detected in the Onboard Diagnostic system (OBD). Your car doesn’t just have a computer, it has a whole network of them. The system is constantly running tests on all sorts of things and when something doesn’t look right, it turns on the light to alert the driver. First, check all the dash gauges and lights to be sure everything looks normal. If the light is on solid, but not flashing and the car runs and drives fine, you don’t have to do anything special right away. The next thing to do is to see if you can tighten the gas cap any more. Taking it off won’t tell you anything, but trying to twist it tighter will. If you can turn it a quarter inch tighter, you may have just fixed the problem. Also, check the engine oil and coolant levels, as those can sometimes cause a light to set. If the light goes out in a few days, you are set. If it stays on, call us for an appointment to have it checked. A flashing light means you should not drive too much further or you may cause expensive damage to the car. You can drive across town, just don’t drive across the state. While this sounds easy and tempting, this clears out a wealth of diagnostic information that may prove useful. Automotive technicians are like detectives, using information to eliminate potential suspects. They need all the data they can get. The system is designed to turn the light off on its own if the fault goes away. If you don’t want it checked out right away, keep driving. 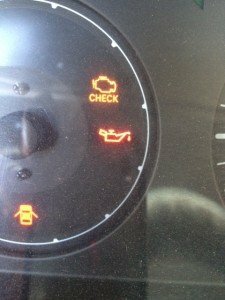 Sometimes, the check engine light goes back out on its own. It’s not a good idea to have it turned off before the repair shop sees the vehicle. 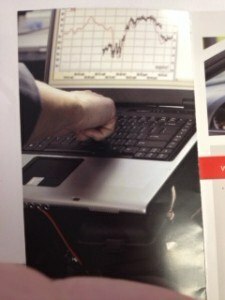 We have the factory software and laptop to go into your car’s system and reveal pages and pages of data. We’ll investigate this first, then go to the factory service information website and input the information. This will give us the direction the factory recommends for further testing and repair. Sometimes, there’s an easy repair, other times additional testing or inspection is required. There are many cases where a code is set for a part malfunction, but the real cause is a pinched hose or wire and that’s all that needs attention. Replacing the part only adds to the cost and often won’t fix the car. We want to fix the car right the first time for the least possible money. This is where our specialization in only a few select Japanese makes of cars is the real difference in fixing cars quickly and economically. A specialist shop can often repair things quickly that a general shop might struggle with.